Here is proof that mirrors lie. Big time. 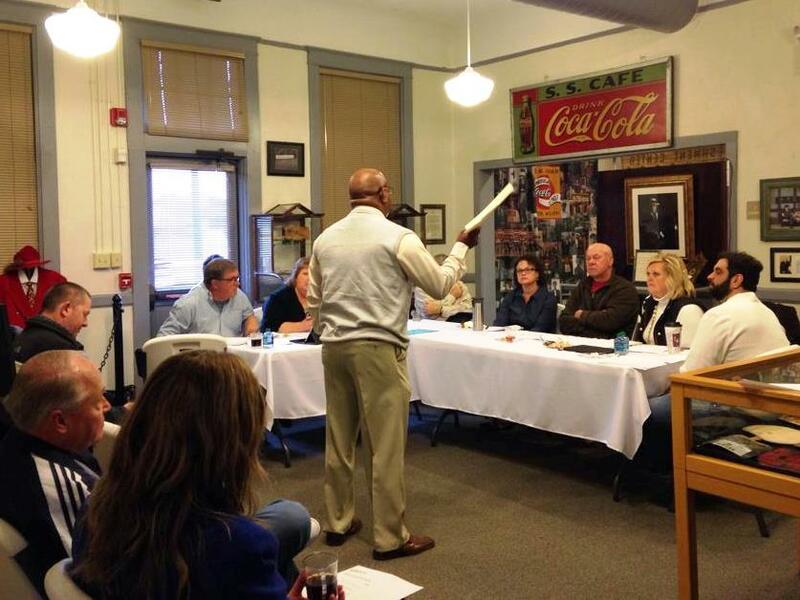 This is me (bottom left-hand side) at a recent morning meeting of the Corinth, Miss., tourism board at the Crossroads Museum. Barely an hour before this photo, I had gotten ready and curled my hair carefully, spending my normal 20 minutes or so on maneuvering the curling wand and applying all sorts of Guaranteed Moisturizer Anti-Aging Shiny Hair things. I’m not a natural hair person but I’ve been practicing and I sincerely believed that my mirror at home approved of this morning’s effort. I could hear it saying, “Girl, you are an awesomely talented curler.” I could see it reflecting luscious and smooth and soft Sofia-Vergara-style waves. I could head out of the house with Hair Confidence because my mirror said so. But … no. (Cue sound of brakes screeching.) So obviously my mirror has launched a guerrilla-attack campaign and Cannot Be Trusted anymore. Because what I see in this photo is not Sofia Vergara but rather did-this-woman-even-brush-her-hair-today? Sad. So sad. And terribly inconvenient. How much to pry a bathroom mirror off of a wall and stage a redo? I think you are having a what was she on today? I don’t see anyone in this picture who even looks like you. The Cathy I know had short hair the last time I saw her. Mary — Then I am a bad friend if you haven’t seen me in a year since I started growing my hair out. I finally realized that short hair takes too much effort — you have to actually do stuff to it and get it cut frequently. Too much work for me!